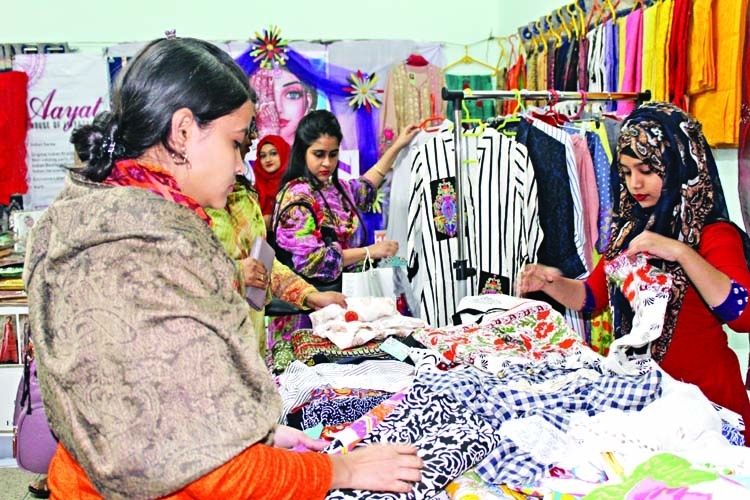 The entrepreneur goods fair is going to end today.Women Entrepreneurs of Bangladesh (WEBD) organized the three-day long fair at the auditorium of Women's Voluntary Association (WVA), at Dhanmandi in the capital. The organizers said they arranged the fair with an aim at helping women entrepreneurs to expand their businesses. This is the forth fair organized by the association. The fair, however, could not draw much visitors mainly because of ongoing DITF at Sher-e-Bangla Nagar and month-long book fair at Bangla Academy premises. More than 200 women entrepreneurs took part in the fair, according to sources. Entrepreneurs from different places came up with numerous types of dresses, homemade handicrafts, jute and leather-made products, cosmetics, various types of ornaments, foods etc. Most of the participants were women and young ladies. However, a few male entrepreneurs were also seen displaying goods. "Being an entrepreneur in a country like Bangladesh is very challenging. One should research the market and know the demand before coming up with a business," said Afsana Abdullah Suma, a new entrepreneur who is currently trying to establish stone and crystal made ornaments in Bangladeshi market. One of the male entrepreneurs, Ariful Islam, owner of Karushala, who came up with homemade clothes said, "I came here to sell and promote my products as I have no outlets right now, but not so much people come here to buy products from us in these days. May be it happened because there was lack of marketing or the venue was an underrated place." "I run my business mostly on online platform. 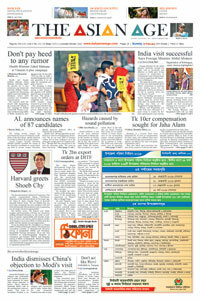 Most of the products are being sold through online platforms," he noted. He also claimed that organizers of this fair only thinks about the quantity and give less priority to quality. Another entrepreneur, CEO of Green Stem Md Ibnul Syed Rana was displaying indoor plants. He noted that, "My vision is to grow interest about indoor plants among general people. Plants are our genuine friends, I want to convey this massage to everyone that's why I am here." According to organizers, almost 90% entrepreneurs came up with fabric products this time. One of the clothes shop owner said, "DITF was also running at the city when the fair began, and book fair is still running . I think that's the reason we found less visitors in the whole fair period." Ibrahim Adham Rony from Golden Fiber Asia who came up with numerous types of handicrafts observed that there are some potential customers for this fair who will never go to such a crowded place like DITF. "People who really have an aesthetic mind and want some peaceful shopping place, this fair is for them. But other fairs may slightly affect our event, but not much."